Cline has the experience needed to tackle even the most complex criminal defense cases. 15 YEARS OF EXPERIENCE. FORMER JAG OFFICER. If you have been arrested in the Hampton Roads area, then you need a tough defender to help you avoid conviction. At the Law Office of Shawn M. Cline, PC, we know the law and are not afraid to challenge your charges. You should work with aggressive criminal defense attorney Shawn Cline. Over the years, Attorney Cline has helped countless individuals win their case, both civilians and military personnel. No case is too complex for him. 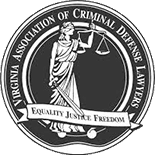 If you have been arrested and charged with any criminal offense, civilian or military, you need to work with the Hampton Roads criminal defense lawyer from the Law Office of Shawn M. Cline, PC. After any arrest, the stakes are high. Without the right legal counsel, you could be facing serious penalties. Prosecutors work hard to ensure that you receive the maximum sentence available for your specific charges, so you need to work with an attorney who can aggressively match their efforts. We can anticipate the prosecutor's course of action and strategize to secure a favorable outcome for your case. If a case cannot be settled outside of court, we can aggressively litigate on your behalf at trial. We have confidence in our ability to tenaciously defend your case. We are dedicated to the defense of our clients, and each person interested in retaining our firm has the chance to thoroughly express their concerns during an initial consultation. When you retain our services, we can draft an effective legal strategy to help provide you with the best available outcome for your case. At the Law Office of Shawn M. Cline, PC, we are aware that no two cases are like and we approach each case as a unique entity that deserves a personalized defense. As a former active duty Judge Advocate General's Corps officer, Attorney Cline prosecuted and defended military cases in the western United States and various Pacific installations. 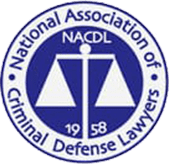 When he separated from active duty as senior defense counsel, he began providing criminal defense representation for civilians and military members, retirees, and their families. Military members can turn to our firm for trusted military criminal defense, and Attorney Cline can use his knowledge of the Uniform Code of Military Justice to help protect your rights, rank, and freedoms. CONTACT THE LAW OFFICE OF SHAWN M. CLINE TODAY! Are you ready to move forward with your case? Now is the time to contact a dedicated Hampton Roads criminal defense attorney. At the Law Office of Shawn M. Cline, PC, we are prepared to assist you with understanding the charges you are facing and to develop a personalized defense for you. We believe that every individual should have access to trustworthy and experienced representation and we offer discounts to active and retired military members and military families. If you were arrested and are now facing criminal charges, do not hesitate to contact the Law Office of Shawn M. Cline, PC and speak with a criminal defense lawyer now. Norfolk General District Court: Navy Chief charged with assaulting DoD civilian on Norfolk Naval Base. After vigorous cross examination of alleged victim and presentation of defense evidence, all charged dismissed. NOT GUILTY and returned to full duty. Virginia Beach General District Court: Client charged with DUI after one vehicle accident in which his vehicle went off the road and travelled 70 yards into a field, flipping over multiple times. After hearing the evidence and considering defense motions filed, judge found client NOT GUILTY of DUI. 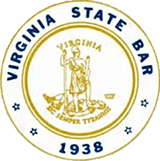 Virginia Beach General District Court: Client charged with DUI as well as refusal of breathalyzer. After officer testified that client was uncooperative and rude throughout the stop, Mr. Cline was able to elicit testimony that road was slippery due to inclement weather, and that despite client's lack of cooperation he exhibited signs of not being under the influence. Judge dismissed the charge; NOT GUILTY of DUI. Client charged with destruction of property, assault and battery, and trespassing. All charges dismissed after Mr. Cline cross examined all Commonwealth witnesses, showing inconsistencies with forensic evidence. Client charged with reckless driving. Reduced to defective equipment, no points on license. Represented airman who had tested positive for amphetamines during random urinalysis. After fully litigated discharge board, panel voted to retain the member in the unit. Member returned to duty with no adverse effects. The last three administrative discharge boards Mr. Cline has handled (2 Navy, 1 Air Force) have resulted in the members being retained on active duty. Successfully upgraded sailor's discharge from other than honorable conditions for drug abuse to a full honorable discharge. Also upgraded RE code to RE-1. Client charged with reckless driving on Norfolk Naval Base. Reduced to speeding 9 over the limit. Client charged with carrying firearm into airport terminal. All charges dropped, firearm restored to client. Our firm is ready to listen. Call for a FREE case consultation or fill out the form below!